We'll have to wait to see how the new methods work out. cloudz wrote: If you can't see how Yang and Wu style BKTS can be a strike (palm or changed to fist), then you should all just give up and go home. It can be other things, but if it can't be a strike in your style then you're missing a trick for sure. Anyway the style I'm doing now uses it as a strike and so have the styles I have been taught previously. Do what you want, but don't try to tell me it's not or can't be a strike. I agree with this and I don't understand this whole discussion. Matt is 100% wrong based on what criteria? For God's sake, it's a palm strike IN THE FORM so now doing brush knee as a palm or punch is wrong?!? Matt even showed a diagram in his video of the principle he was using. That principle also corresponds 100% with how I learned the Yang style. 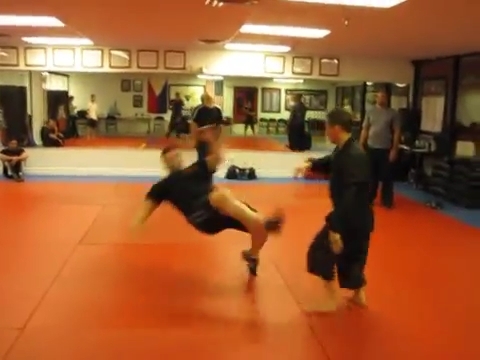 And he even showed that application in a leitai fight. So now that's not good enough? What is? Matt has focused on Yang style for 20 years, studied with like 10 different teachers in that style, and fought on the leitai using that exact move. So map out for me how he's wrong. When does someone earn the right to their own opinion? Never? Formosa Neijia wrote: Matt is 100% wrong based on what criteria? For God's sake, it's a palm strike IN THE FORM so now doing brush knee as a palm or punch is wrong?!? So map out for me how he's wrong. As I said, he probably does what he does from his own perspective and what works for him in competitions. Nothing wrong with that. Also, it's hard to get a clear picture of what he does and why when he only presents a teaser. Wrong depends on from what perspective you are looking at it. Generally speaking, if there's a punch or a palm strike in the Tai Chi form, then isn't the meaning that you should use the same body method and power generation when you punch? If you lift up your heel and use an arm movement separately from the rest of the body, is this the same body method as in the form? Can it be considered Tai Chi mechanics? If you don't care about the details or about the body mechanics in general, why insist calling it Tai Chi? Last edited by Bao on Wed Apr 03, 2019 1:15 am, edited 2 times in total. I posted two of his longer videos. Bao wrote: Wrong depends on from what perspective you are looking at it. Bao wrote: If you lift up your heel and use an arm movement separately from the rest of the body, is this the same body method as in the form? Can it be considered Tai Chi mechanics? If you don't care about the details or about the body mechanics in general, why insist calling it Tai Chi? The Taiji system still have to follow the general CMA "mobility" guideline. 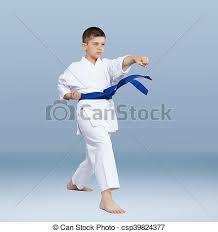 - Beginners only learn static punch that both feet are on the ground. 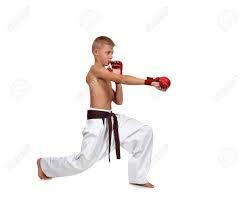 - Advance guys learn dynamic punch that foot slide along the ground with heel up. When you apply a throw, your heel has to lift up. Last edited by johnwang on Wed Apr 03, 2019 2:55 pm, edited 2 times in total. If you're not moving you're not doing martial arts. 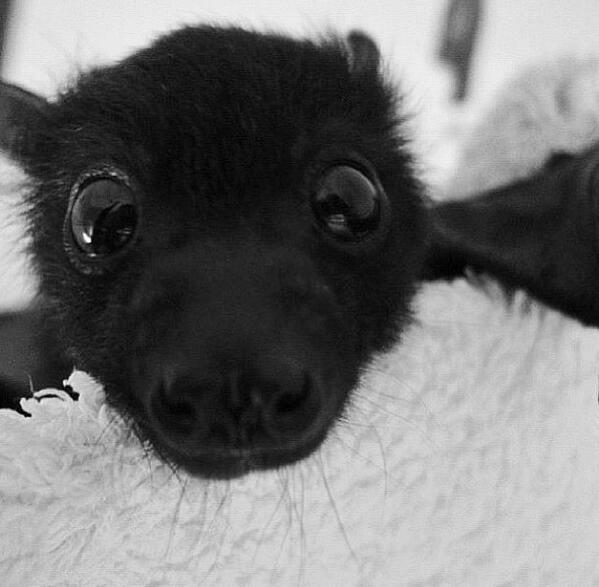 Last edited by Taste of Death on Wed Apr 03, 2019 3:08 pm, edited 1 time in total. Exactly. The ultimate expression of taiji as a fighting art isn't found in the form because form isn't function. If it were then the guys doing tru2form would all be masters when it's clear they don't know the difference between the two. As John clearly shows, the ultimate expression of the power in brush knee requires lifting the back heel just from a biomechanical POV and from the POV of expressing it in a fighting format. Biomechanically keeping the heel down prevents that hip from extending forward, limiting the power of the strike. In application, not lifting the heel limits your range in the punch. A lifted heel will get you another 2-3" easy if not more. The opponent will not just stand there at the exact spot that allows you to express any given shenfa you happen to be practicing. Their whole job is to move, disrupt what you're doing, and defeat you. Form doesn't address this at all. This is another reason why "he's just using arm" doesn't work as a critique. If the opponent is close then the need for overt body mechanics is lessened. And I thought these were "internal" arts, anyway? Why is it everyone expects what's supposed to be going on "internally" to be so blantantly epxressed "externally"? To be successful at fighting you have to hide some of those mechanics in order to not telegraph your moves to the opponent. That's why I pointed to his leitai clip. The proof of a fighting art is in the fighting, it's not a form exhibition. Matt is 100% wrong based on what criteria? For God's sake, it's a palm strike IN THE FORM so now doing brush knee as a palm or punch is wrong?!?? Yang Jun on January 16, 2016 wrote: “Hand Shape” and “Hand Method” are two different things. “Hand Shape” obviously refers to the shape in which the hand is held. “Hand Method” is the technique or skill expressed by the hand. When referring to “Hand Method” we are actually talking about hand technique. Whether practicing the Hand Form or using the martial applications, remember that each part of the body, not just the hand, can be used to stick or to strike. For example, The elbow, shoulder, chest, back, knee, any part, can be the power point. Through Ward Off, Roll Back, Press, Push, Pull, Elbow Strike, Shoulder Strike, Grabbing, Controlling, Kicking Striking, Throw Down, we express many functions, many different energies. The energy is shown either directly or indirectly through the hand technique. ▪ Grabbing. Grabbing is usually expressed by the palm. In the Hand Form, when the palm turns, rotating up, the meaning is usually grab. The Left Hand in High Pat To Horse exemplifies this use. ▪ Controlling. “Controlling” refers not only to controlling your opponent’s joints, but also means controlling their energy. Through control the opponent's energy to control the Empet and Full. Controlling is usually carried out by the palm, fist, or hook. ▪ Throw Down. Throw Down refers to combining energy and leg technique or hand technique to make the opponent lose balance. Some Pull and Split energies are examples of Throw Down. ▪ Strike. Strike is easy to understand. It means employing the hand, fist or hook to push or hit. When using the palm to strike, the energy point is usually the palm heel, the edge of the palm or back of the palm. When using the fist to strike, the energy point can be the fist face, the back of the fist or the knuckle. ◦ In the transition from Left Ward Off to Right Ward Off, the left palm shows Grabbing. 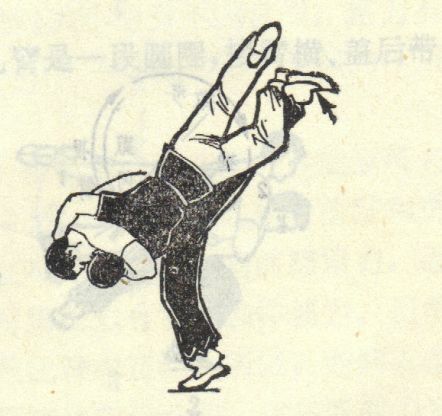 Following the weight shifting to the left,rotate the left palm to grab the opponent’s wrist. An example of Controlling is shown by the left hand in Fist Under Elbow. Strike is exemplified in Brush Knee and Push. Step Back Ride Tiger is an example of Throw Down. ◦ Twin Fist is an example of the using the fist to Strike. Controlling is shown in Step Up To Seven Stars in fist functions. 。 The main functions of the Hook are to strike or to control. Single Whip shows the use of the hook to strike to the opponent’s throat. The Hook can be used to control by hooking the opponent’s attack. Another website on Apr 10, 2011 wrote: Rubén: Hello everybody. On Yang Chengfu´s "The essence and applications of Taijiquan", pg. 106, when describing Dalu´s Cai form, it says: "A´s left hand pluck is transitioning to shan (lightning strike). Does anybody knows what is this kind of strike? Shan is similar to Brush Knee Twist Step. 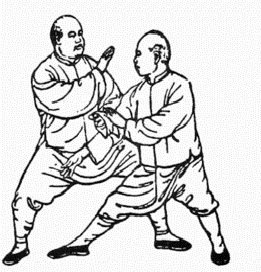 In the image beside the description you used Rubén, Yang Cheng Fu (A) is using his left palm to strike at B's neck/face and his right to draw aside (pie kai) B's left arm, dissolving the shoulder strike. This is a use of Lieh Split energy just like in Brush Knee, the waist turns right, the right arm drops and draws open, the left arm pushes forward.
. . . Lie Method: According to the explanation of dalu four-corner tuishou in Yang Chengfu's Complete Book of the Essence and Applications of Taijiquan, lie is introduced as follows: " … grasping the left wrist of B is cai. If the right hand does not move, then this is a 'compressing' (qie jie, lit., to 'cut off'). When transformed, it conveniently becomes lie. Lie, then, is to push away B's left elbow, and to use the palm to strike slantingly toward the base of B's neck." This explanation is assuming A rolling back to the left, and B performing left shoulder stroke. A uses his left hand to pull down (cai) B's left wrist. At the same time he uses the right forearm (ulna side, near the wrist) to stick to B's left upper arm (slightly above the elbow joint), rolling back to the left. If "the right hand does not move," then he uses the ulna to "compress" B's left elbow joint. If he "transforms in advantage to lie," then the right hand "pushes away B's left elbow," and with the thumb side of the back of the right hand, "strikes slantingly toward the base of B's neck." Because of this, the movements of lie are comparatively less evident. Lie is only present in the intent, or during the transformation. In this way, when using the back of the hand in a strike, this is" lie." Besides this, there are two additional ways of talking about lie. 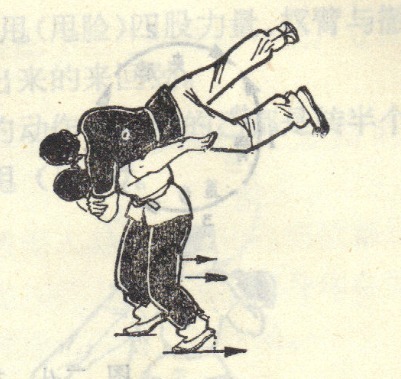 One way is to use the word shan (a "lightning strike") to describe the lie palm; another is, after A has rolled back, he follows through by sinking his right elbow, leading to the right to neutralize the kao energy of B. This is called lie. Jane Hallander (Yang Cheng-Fu > Hu Yuen Chou > Doc-Fai Wong > Jane Hallander) wrote: Although many tai chi open-hand techniques appear to be simple “pushes,” they have another application. They are pushes if the opponent is just a harmless nuisance, but in dangerous or life-threatening situation, a push can be transformed into a powerful palm strike. This latter application was the original intention of tai chi masters in China. . . .
All tai chi techniques should have equal energy in both hands. In other words, the brush-knee hand, which blocks an attack, must have as much power as the striking hand. 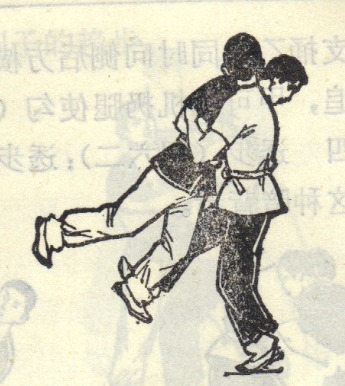 As the practitioner’s blocking hand makes contact with the body armor on his partner’s arm, it “sticks” to it, sweeping the opponent’s arm downward and exposing the chest for a simultaneous push/strike. Without equal power in both hands, the tai chi practitioner would be off balance and his striking hand would possess less power and penetration than if his body were correctly connected and aligned. By utilizing body armor in training, students get an opportunity to practice and discover this kind of balanced power. Exactly. The ultimate expression of taiji as a fighting art . Exactly. When you teach beginners, you should first teach a static punch where BOTH FEET are kept ON THE GROUND. If you teach advanced method before teaching the basics, you are not doing your student a favour. What is the subject in the OP was a clip teaching beginners how to punch. The correct basics from a Tai Chi perspective were not taught there. For "advance guys", I would rather teach follow step and/or "slide along the ground" than lifting up the heel only in a boxing manner. None of them are Tai Chi punches. Mechanics and movement decide if it's Tai Chi or not. A trained eye will see if even on a fixed outer posture if the trained movement is there or not. The “biomechanical POV” is correct when using a kinetic chain and momentum, but that is not the only way to strike. The kinetic chain is used and is appropriate in TJQ (e.g., the whip movements, throws...), but so is the whole mass unification of the body like in the “one inch punch” type of dynamic (pulse type of strike). Which is appropriate to use depends on the situation. “Just using arm” should not be correct for either method. Here is an example: do the BKTS movement from non-contact using the kinetic chain type of action; then do the same move FROM contact using the OIP dynamics. Are they different for you? Would you want to raise the rear heal for both methods?